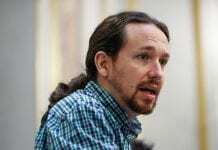 ‘El Guapo’ (‘the handsome one’) plans to give the opposition Populist Party (PP) a run for their money, vowing to combat the recent abortion restrictions and new labour legislation that makes it easier and cheaper for employers to fire staff. These plans were initiated during his first official talks with Prime Minister Mariano Rajoy. The 42-year-old economist replaced Alfredo Perez Rubalcaba as the PSOE’s leader after the party suffered massive losses in parliamentary elections.